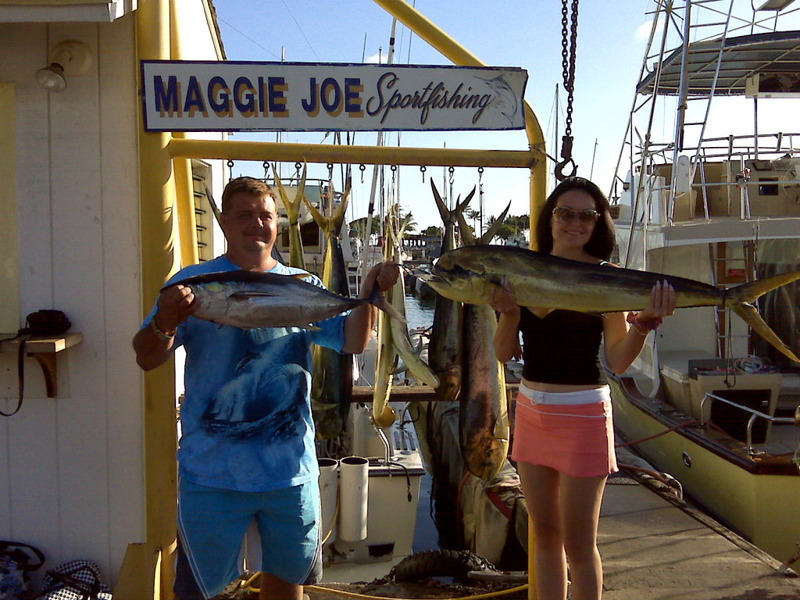 We are pleased to announce that you can now find Maggie Joe Sport Fishing on Trip Advisor. We highly encourage everyone who has been out with us to share their experience and their pictures/videos. Just click here to be taken directly to our page on Trip Advisor. 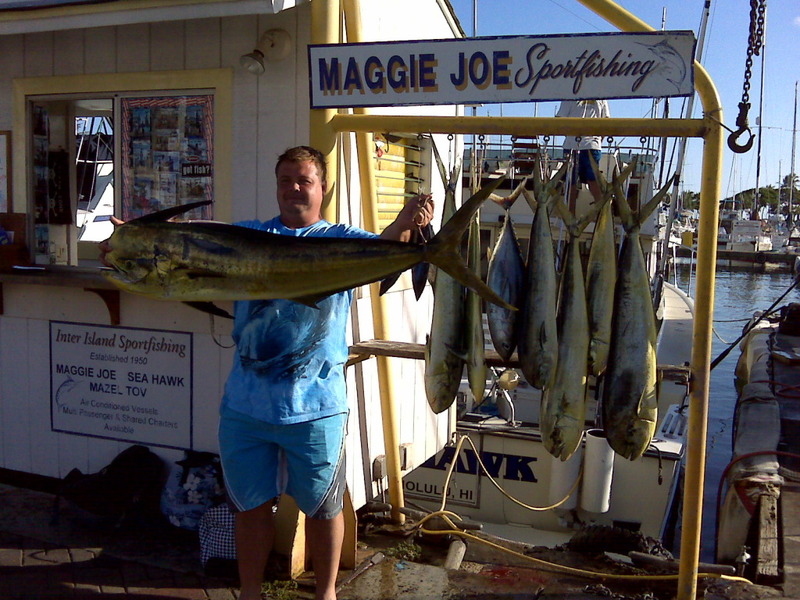 On 9/19/09 Maggie Joe brought in 3 Mahi Mahi, while Sea Hawk was able to bring home a 200 lb Blue Marlin. 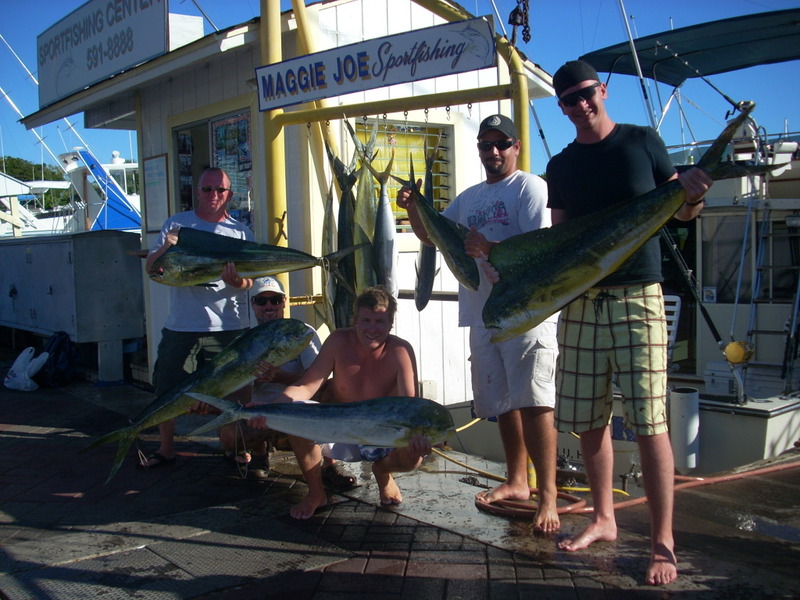 It doesn’t get any better than that… a beautiful day out on the Hawaiian ocean, and charter fishing at it’s best; a group of Mahi Mahi and a big Marlin. 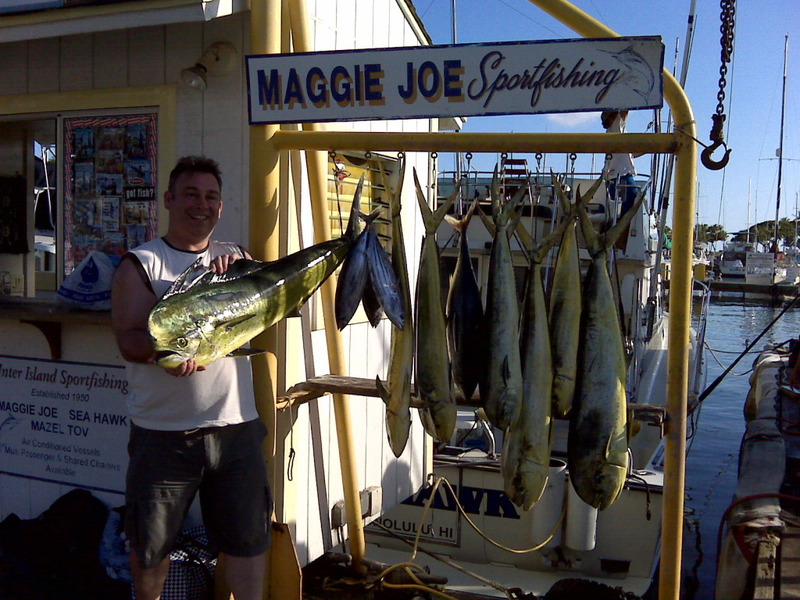 9/5/09 was a great day for all aboard the Maggie Joe. 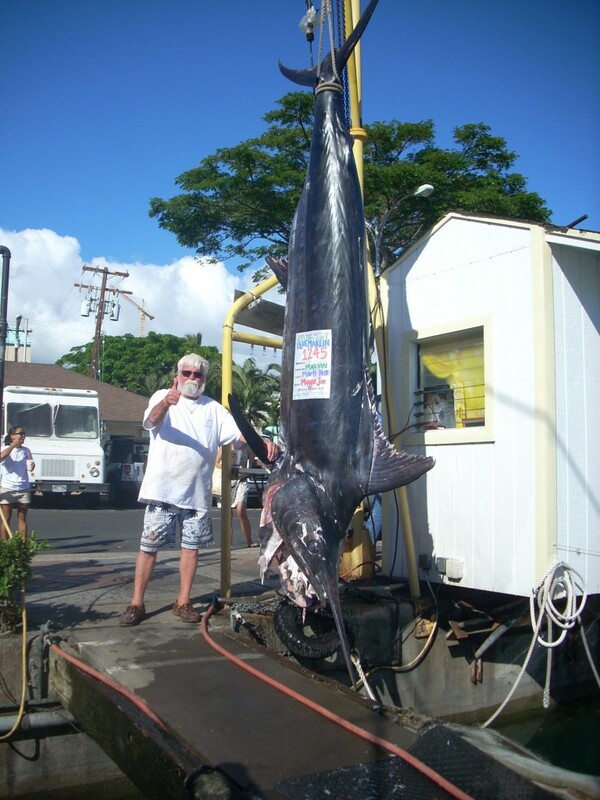 Multiple Aku, Mahi Mahi and one 175 lb Blue Marlin were hauled in while deep sea fishing off the island of Oahu. We had a great time and hope you all did too! Mahalo! 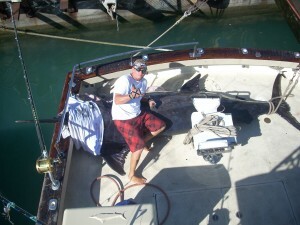 Today the Sea Hawk went out with Captain Matt and brought in this beautiful 160 lb. Blue Marlin. Rick showed us his excellent angling skills reeling it in like a champ. Way to go Rick! 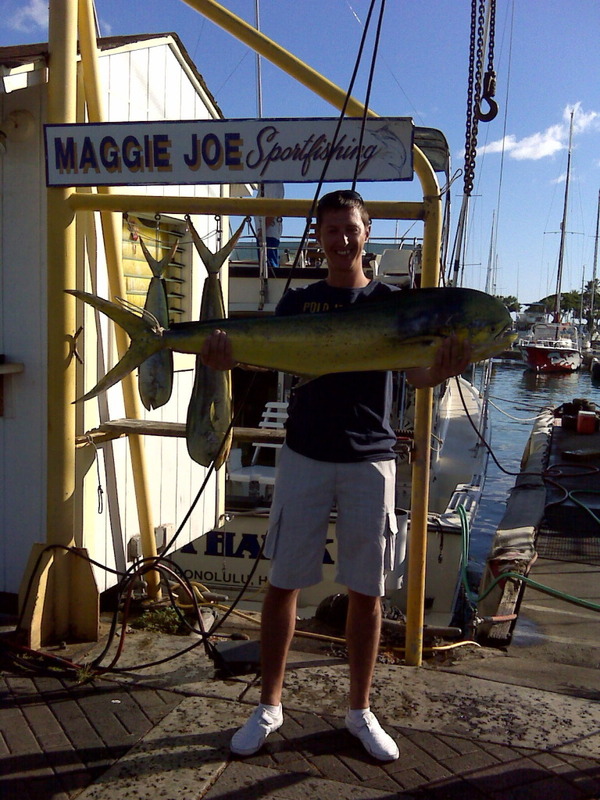 Sea Hawk brought in 10 Mahi Mahi & 1 Rainbow Runner (Hawaiian Salmon) today which deep sea fishing the beautiful Oahu waters with Captain Mike and Mate Dustin. Good job guys! 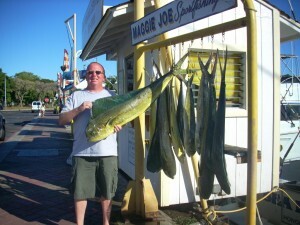 Maggie Joe Catches a Grander!! 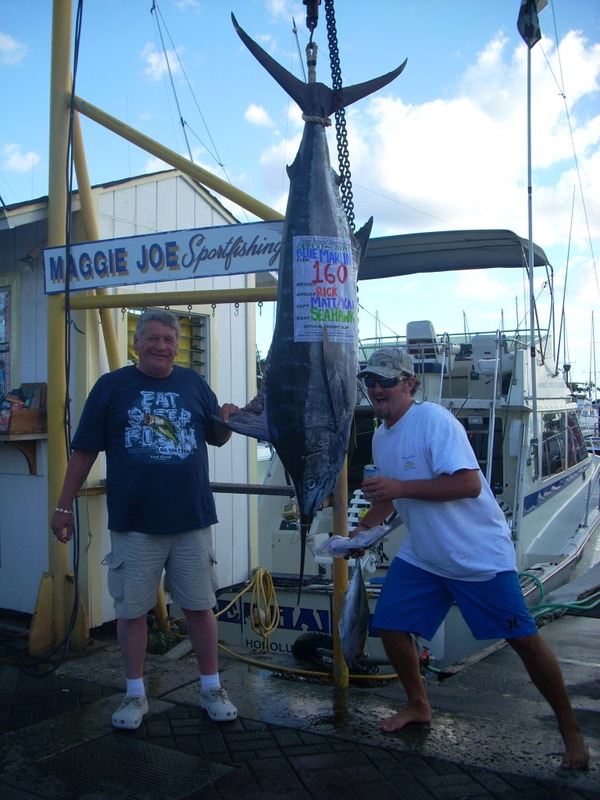 Marvin Bethune caught this 1245 lb Pacific Blue Marlin on the Maggie Joe on 9/1/09. That is a really big fish, Marvin! Way to go! More pictures and info will be coming in the next day or two… so check back then! Mahalo to Marvin for joining us! Check out what KGMB 9 had to say about it. 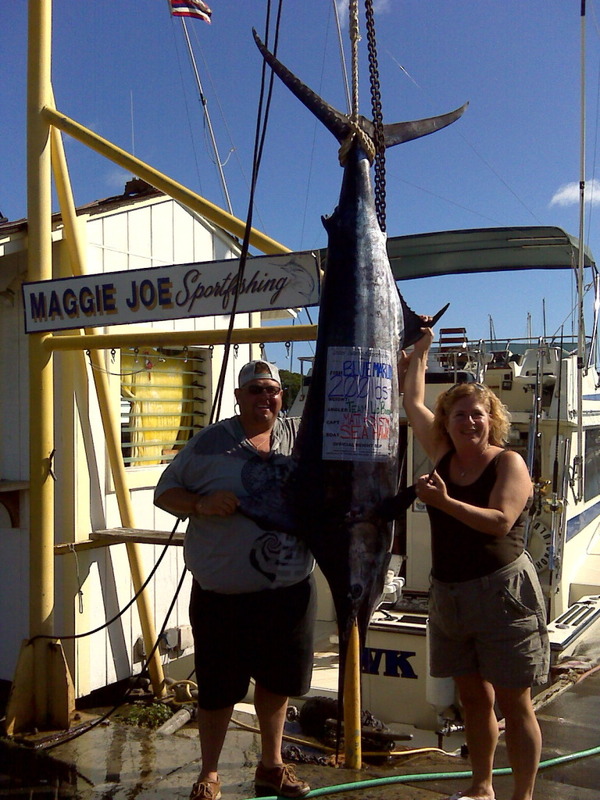 Posted in Deep Sea Fishing, Gallery, News | Comments Off on Maggie Joe Catches a Grander!! Congratulations Eddie! 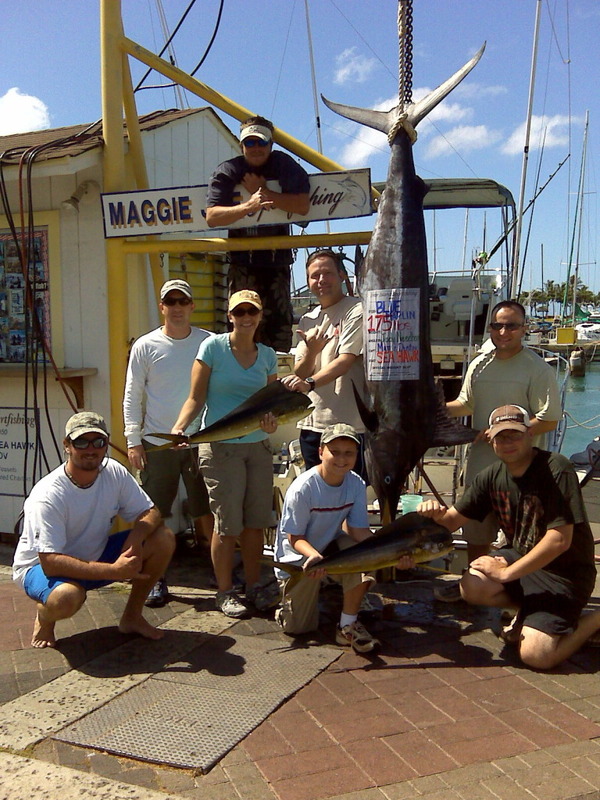 You have officially caught the biggest fish on Maggie Joe Sport Fishing from June 1st to August 31st and will receive 2 free share charters on one of our deep sea fishing boats here in beautiful Honolulu. 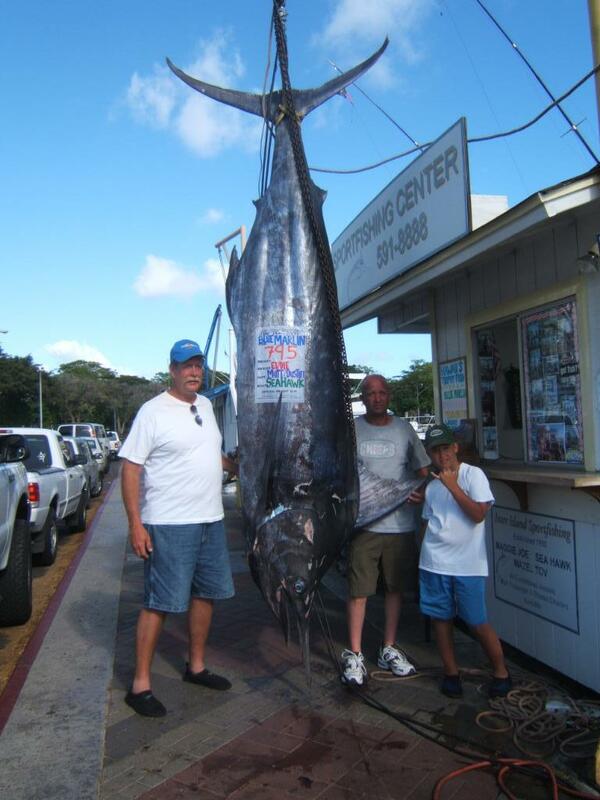 Eddie reeled in this giant 795 lb Pacific Blue Marlin while deep sea fishing with us on 6/24/09 on the Sea Hawk.